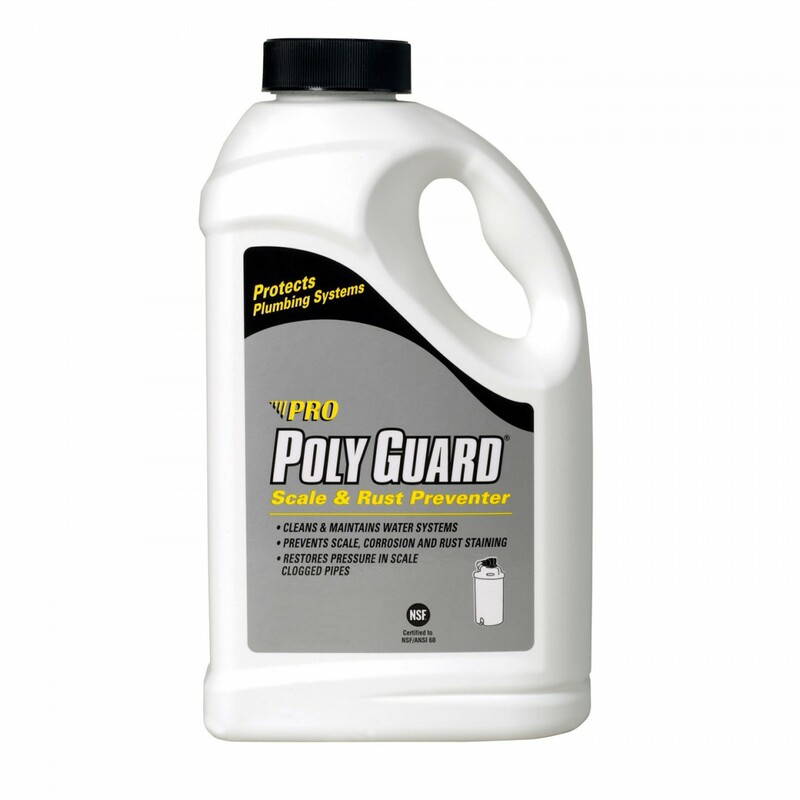 Pro Poly Guard is a polyphosphate powder formulated to prevent scale buildup, corrosion, and copper leaching in hard and acidic water. Safe for drinking water applications and NSF 60 certified, Pro Poly Guard is an economical way to protect valuable equipment and plumbing from damage caused by hard or acidic water. The powder formula is more stable for long term storage and takes up less space. The Pro Products Poly Guard Scale and Rust Preventer powder formulation for easier storage. NSF Standard 60 certified for drinking water. Prevents scale buildup, corrosion, and copper leaching.